Why you should NEVER attend another networking event – again! I found this title so intriguing, and found myself clicking through to read the article. The information the author had written was something I totally agree with, so I knew I had to get her on the show to share more on the show. So, today’s guest is the author of that article: Why you should never attend another networking event, Stephanie Ward. 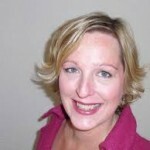 Stephanie is a Marketing Coach for Small Business Owners who want a steady stream of cool clients. She helps them create meaning and prosperous businesses by doing marketing in a way that fits for them. Stephanie is a Marketing Coach for Small Business Owners who want a steady stream of cool clients. She helps her clients create meaningful and prosperous businesses by doing marketing in a way that fits for them. What inspired you about the message Stephanie shared today? What action are you going to take? It was a realy pleasure talking with you about networking and how to make it more effective. Thank you again, Annemarie Cross! [New podcast – Ambitious Entrepreneur Show] Why you should NEVER attend another networking event again with Stephanie Ward. Some key insights you should know before you attend your next networking event. [New episode: Ambitious Entrepreneur Show] Why you should NEVER attend another networking event with Stephanie Ward. Key insights you must understand before you attend your next networking event.